As I was laying out the picnic set that I was sent by the WW team, I thought about the time my (now ex) boyfriend S prepared a lovely picnic for me in Central Park one weekend. S and I had both been working long hours that month (such the life of a banker), so it was so nice to finally have a free weekend to ourselves. For our date, I was expecting the usual NYC outing - trying out a new restaurant or seeing the latest Broadway show, so I was surprised that S showed up early in the afternoon at my apartment with flowers and a picnic basket in hand. “We’re going to Central Park” he said. “UGH, couldn’t we just go to Sapa?” I thought, as visions of ants and other creepy crawlies danced through my head. However, I put on a brave face and went along for the ride. And you know what? It was actually a really gorgeous picnic! S pretty much cleaned out Whole Foods so we had a bunch of yummy goodies to munch on and it was actually nice to get some fresh air (well as fresh as you can get in NYC) while enjoying a meal. Plus S (always the planner) brought a nice blanket so I wouldn’t get bitten by the bugs and a misting fan to keep us cool from the heat. So I don’t know if this can be called “cheesy” love story (although there was plenty of crackers and cheese consumed that day), but it was certainly pleasantly unexpected. S and I are no longer in touch but hey S, if you are reading this, I still have love for our “cheesy” fun date! "On our first date, he really wanted to open every door. This would have been fine if there weren't a foot of snow to climb through. It took forever to get in and out and looked pretty cheesey!" 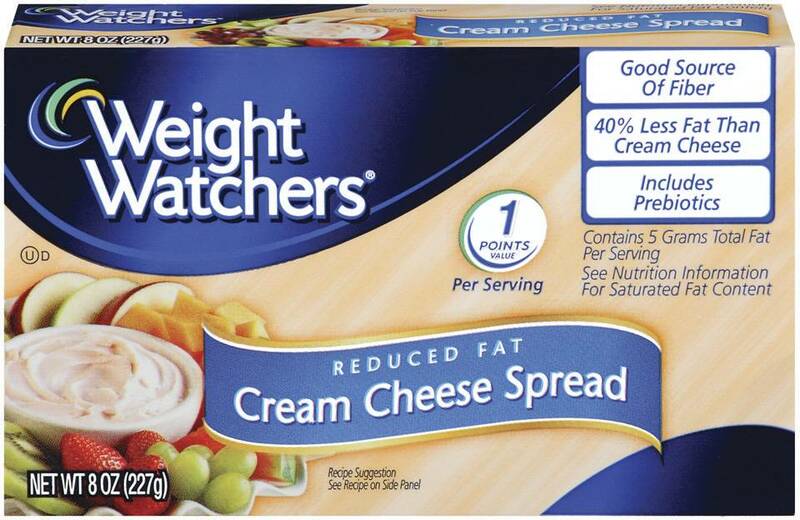 Weight Watchers and financefoodie.com is giving one lucky reader a picnic basket filled with snacks (Kashi crackers, Emerald Nuts Trail Mix) and goodies (Hawaiian Tropic Sunscreen, wine opener and glasses, picnic blanket) and a sneak peak sample of the new Weight Watchers Spreadable Cheese Wedges / Cream Cheese Spread (ARV: $100). I had a chance to taste test these cheese wedges and yum yum – so much tastier than the Laughing Cow (and with more fiber too)! 1. REQUIRED: In my comments section, tell me you “cheesiest” love story. Obviously, your story doesn’t need to be as long or as detailed as mine (although feel free to write as much as you want!) STORY DOES NOT HAVE TO INCLUDE CHEESE! Contest ended Monday August 2 at 5pm EST. Winners will be chosen via random integer generator on random.org announced on the financefoodie.com site shortly afterwards that night! My cheesiest love story was of course when Bret proposed at the Public Garden with bubbly, cheese and crackers. I was completely surprised and of course - I said yes! My cheesiest love story is a first date, where we went on a picnic but it was so hot that the brie cheese completely melted all over the utensils which made for a messy meal! I was so embarrassed! I had gone to San Francisco without understanding how cold the city by the bay can get at night. The first evening, my friends (who were residents), were showing me the sights, but I was freezing. In an attempt to make me feel welcome and warm, they kept pouring cocktails into me. It wasn't working. I was shivering, my teeth chattering. Finally, I noticed a man on a street corner and remarked, "I'm so cold and look at that guy -- he's wearing a sweater and a jacket. He should take one off and give it to me!" On a trip to Greece I had my first taste of feta cheese and loved it. They served it crumbled over slice tomatoes with a dash of olive oil. My husband and I had first started dating and he wanted to make dinner for me at his apartment. I came over and he had made meatloaf with cheese inside...meatloaf is the one food I cannot stand. I spent our dinner picking the cheese out of the middle of his meatloaf and trying not to hurl. It wasn't until many months later that I confessed my hatred of meatloaf. My cheesiest love story was going on a first date to a restaurant where we had Mozzarella Sticks. My cheeiest love story was when I was a child. My boyfriend and I use to eat mudpies (just a little) that we made by my swingset in my backyard. Now that was true love! My cheesiest love story was when my now husband bought his friend's car. We met in that car thru mutual friends and my husband bought it when he realized he was in love with me. We have been together 23 years, but the car is long gone. My cheesiest love story is when an ex from high school wrote on my car asking me out on a date.. Yeah..pretty cheeeesy! Cheesiest but probably more creepy than cheesy. Just started dating and had never been intimate, dropped to one knee and proposed marriage. After a dumbfounded shock, I just said, "No and I gotta leave now". Cheesy love story......On my (now long time love of 30 years) honey and my first date, we went for Chinese Food at my favorite place. We were getting along great and he came across the table for our first kiss. I met him half way and my hair fell into the flaming pupu platter and singe. Here I was with blackened hair and stinking like burnt hair and he still fell in love with me that night. Cheesiest & romantic is since the day we met (which is over 25 years ago) my husband has always buttered my bread. No matter where we are. A few years ago I found out my dad has always done the same for my mom and they have been married for 50 years. My cheesiest love story, Twenty years ago my husband aske me to marry him i was not having any part of it, he continued to ask and ask. So i let faith handle it we live in the desert it does not snow here. I told him if it snowed i would marry him. December 18 he woke me up and said we getting married and off we went to the justice of the peace when we walked out It stopped snowing. My cheesiest love story is when my now boyfriend persistently found reasons to bump into me after meeting me, just to have conversations and "build a rapport" before working up the nerve to ask me out :) so sweet. I met my husband on the city bus! I always saw he carried the sports page, so the first time he sat next to me I asked him a sports question and he said I 'had him' at that! lol! He asked where I worked and called me that morning and asked me on a date! We've been married 12 years now! Cheesiest love story - my bf (now hubby) went out to have a midnight date - we went to our university's soccer field, had blankets, food, wine and watched the stars. We had cheese amd crackers on our first date. Was invited to dinner by the sister of my then-husband, whom she hadn't seen for a while. Wanting to impress us, she made what she remembered as his favorite pie. The first bite of crust told us she'd inadvertently over-measured the amount of salt. Words couldn't describe the look on her face as she watched us politely try to consume it in vain. This sounds too cheesy, but my love story I am in now started at the farmers market cheese counter, and she and I were talking about our favourite unpasteurised ones from Europe, it was love at first mold? I met my husband when he was working in a restaurant and I left a note with the hostess asking him out! I'm following financefoodie1 on Twitter @AsTheNight. I stumbled your post id: AsTheNight. My hubby purposed at the planetarium at our local musuem! It was so cool to me but I think my family thought it was cheesey! On our first date, he really wanted to open every door. This would have been fine if there weren't a foot of snow to climb through. It took forever to get in and out and looked pretty cheesey! My cheesiest love story is a first date, where we went he took me to McDonald's and we had burgers off of the dollar menu. hm...I guess my cheesiest love story is when my now boyfriend came back to school after the holidays and told me that he and his gf had broken up and gave me a heart necklace to ask me out. My cheesy love story involves a guy long gone... I still have the ring he gave me. It's an old soda can ring broken off from the can. He stuck it on my finger in a whimsical moment. It was cheesy, but I was young enough at the time to think it was cute. the 1st valentines day after my son was born we didn't have much extra cash so after we put the baby to bed my husband went out to pick up a heart shaped pizza.while he was gone i set out a blanket and filled wine glasses.we had a great indoor picnic and watched a date movie while eating. My "cheesiest" love story actually does include cheese. I am aware of exactly how weird this sounds, but cheese is what got my husband and I together. We met in college and were talking on the phone. We had not dated or anything yet, just talking on the phone as friends and trying to get to know each other. My hubby asked me what my favorite food was, and I hesitated. My favorite food is cheese. Always has been. I used to sneak and eat it all the time as a kid. Even as an adult, any food I eat is usually covered, stuffed, or on top of some kind of cheese product. So I was honest, and told him my favorite food is cheese, even though it was not really a "cool" food like pizza, sushi, etc. He was very silent on the phone. Turns out I met the only other person on earth that is as passionate about cheese as I am. That was over ten years and 1 child ago, but we are still a happy cheese-loving couple. I used to have a stuffed rabbit that I LOVED as a kid and kept it even into my 20s. It was truly falling apart and the guy I dated at the time actually made me a new bunny-- he sewed it himself-- and gave it to me for my birthday. It was the sweetest thing ever. I guess our cheesiest love story is one of our first dates. We had a picnic in the park, including cheese and crackers. We fed the ducks, flew a kite and just had a fun time getting to know each other. Haha. My cheesiest love story was when I met this guy offline that I had talked to for a while. We met, went to get lunch and I didnt want to eat a big meal in front of him, so I ate french fries. Thats it! He must have been more shy than me, he only ordered a drink! I am now married to that shy guy! My cheesiest love story doesn't involve cheese (although I wish it had - cheese makes everything better!) but it's a funny one. When my husband proposed, he did it while I was doing dishes after dinner with friends at our house. He simply came up and asked me to sit with him on the couch for a second - I was sitting there drying my hands with a dish towel for crying out loud! - and said, "So....wanna get married?". Sent my spouse over 30 birthday cards for one birthday (in the mail), spread out over a period of days! Here's one I heard from a fellow teacher this year. She had 2 high school students volunteering in her 1st grade classroom - a boy and a girl. She could tell that the boy really liked the girl. The young Romeo designed a plan to put romance in action. He enlisted the help of the teacher and her students. The next time the girl volunteered and walked through the classroom door, here's what she saw. The first graders held up several posterboard signs with empty Orange Crush soda cans attached. Each sign said: Mary, Joe Will Be Crushed If You Don't Go To Prom With Him. (Names have been changed to protect the romantic!) Of course, she said yes! This story was the topic of conversation that day as the elementary school teachers ate lunch. We all thought it was so cute! My cheesiest love story is when my husband brought me red roses for valentine's day. I work with a lot of females, so he brought a single long stem white rose for each of them. My cheesiet love story is back when me and my husband were dating, we were having some issues so I decided to move out for a bit. He put in ad in the lost and found for me....I still have it around here somewhere. When my ex felt the need to make homemade mac and cheese and when taking it out of the oven dropped the pan. I found little bits of cheese everywhere! As a kid I would dream of eating fried cheese. My love of cheese has always been obsessive! My future husband had a a bachelor pad. We went there when the concert we were suppose to go to was rained out. It was more of a hurricane rain with winds and dangerous road conditions. Arriving at his pad, he opened the refrigerator and only had cheese, bread and some butter. Making grilled cheese, he didn't take the wrapper off one of the slices of cheese and the whole apartment smelled of brunt cheese. We braved the rain and went to a restaurant. My "cheesiest" love story is when my (now husband) and I were in college, he sent me on a scavenger hunt back to the place we first met and gave me a promise ring. It was so great! I met my hubby when he was was a truck driver. He and the other drivers he ran with would stop at the cafe where I was a waitress. Shortly after we started dating the trucks pulled up one day and he hopped out of his carrying a huge Easter basket for me. All the other guys ribbed him, but I thought it was so sweet and thoughtful. I am following you on twitter under x0xAllison. My cheesiest story is when I proposed to my now wife. I was so nervous driving to her house, I showed up and she was in her robe after just getting out of the shower. I couldnt wait any longer, so I popped the question and she said yes! My story is cheesy in a different way... I walked down the aisle with Elvis to my husband wearing his white wing tips in Las Vegas wearing a green sparkly dress. Cheesy to some, but the most fun I've ever had! My cheesiest love story is that my husband took me on a secret vacation to do "cheesy" things I love like play mini golf and eat fast food all weekend long! My cheesiest love story actually involves cheese. I had just started working and a wine and cheese shop when I noticed that a certain guy would come in nearly every day I was working. I figurede he just had a thing for cheese, but after a few weeks he told me his true intentions. He was asking me what my favorite cheeses were, and buying all of them. He asked me if I'd like to join him along with the few hundred dollars worth of cheese and wine that he bought. I agreed, and though our relationship didn't last long, that was one of the tastiest dates I ever had. My cheesiest love story was when my ex fiance made me breakfast on my birthday. It was scambled eggs, sausage and biscuits. I found out he doesn't even like eggs. He did it just for me. I met hubby on a cruise. We only saw each other 6 times over 6 months before marrying. Sixteen years later and still together. i met my husband at a party. i saw him across the lawn and couldn't stop staring at him. he motioned for me to come over to him and i did. I asked him his name and he said mr smoaks. i said susan smoaks too! it was love at first sight! My cheesiest love story was when my hubby was still in college and money was tight. For Valentine's day he bought me plastic roses and we had a candlelight tv dinner. Believe it or not, it is a very fond memory even given the circumstances. Those are the times that you simply enjoy each other's company...simple yet enjoyable. Thank you so much for the entry, it all looks yummy! It may not be cheesey, but it is true. Here is the cliff's notes version. We met at a bar, got really drunk , puked all night long and have been together every since..that was ten years ago! My husband moved into the area without anything, job money, etc. We started dating a few days after he arrived in the area. Couldn't do much because of no money. When he did get a job, he took me for walk in the city and treated me to a hotdog and a strawberry milkshake from a street vendor... To this day, I still consider it my favorite date. I had a first date with a guy who took me to a steak house. When we got the menu, I could see that he was surprised at the high prices. I ordered the ground chuck because it was the least expensive thing on the menu. When my meal arrived, he looked at it, and said "That's just a hamburger!' How embarrassing. And then to top it off, he paid the bill, but he didn't leave a tip. I couldn't figure out a way to discretely leave some money on the table. When he took me back to my house, he asked me how much my house had cost!! I didn't really think that was an appropriate question for him to have asked and I gave him a vague, non-numeric answer. Needless to say, our first date was our last. My cheesest love story is when my husband took me out on our first anniversary to my favorite Italian restaurant where I had my favorite meal lasagna. My cheesiest love story is that an old boyfriend of mine used to flatten my tires while I was at school and then always happened to be parked near me when I came out and always had an air pump to inflate my tires. He probably did it about 10 times before he asked me out and I said yes and only later did he admit that he would let my air out during lunch break. my cheesiest story was spending about 20 minutes in the cheese isle.